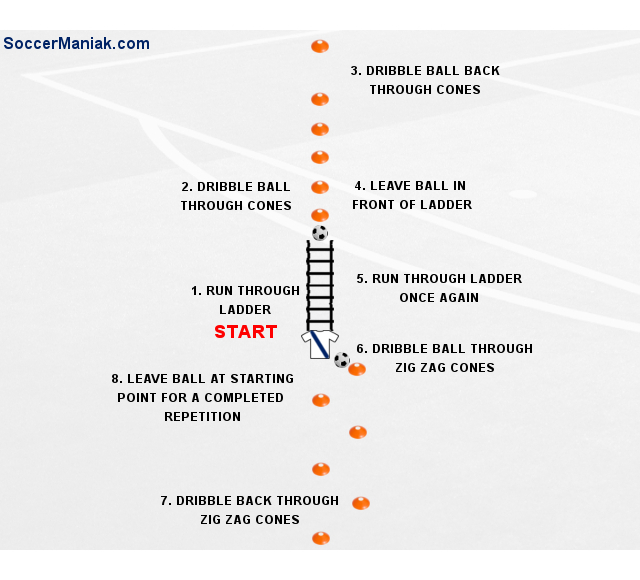 This attacking soccer drill is a great way to build the attacking players confidence, decision making, and skills on the soccer ball. 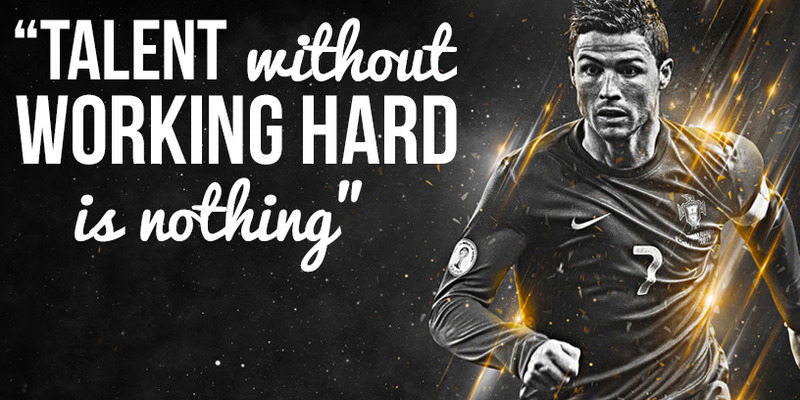 Defenders will also benefit by playing defense and trying to stop the attacking players. 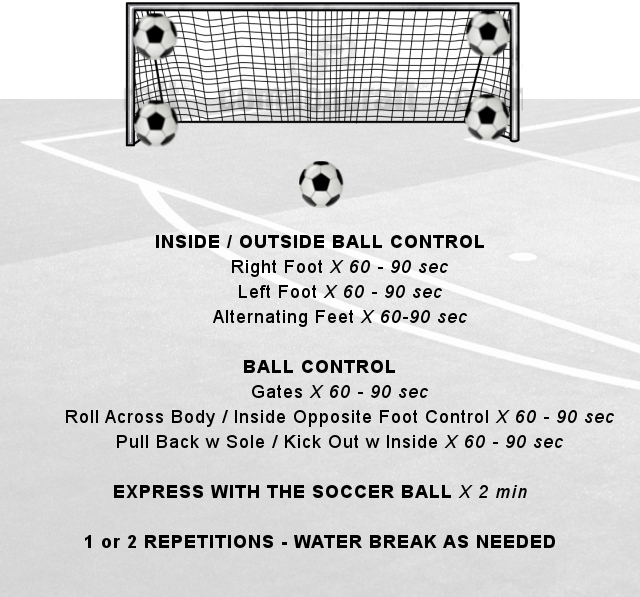 The objective for this soccer drill is to put players into various situations when it comes to players attacking and players defending. 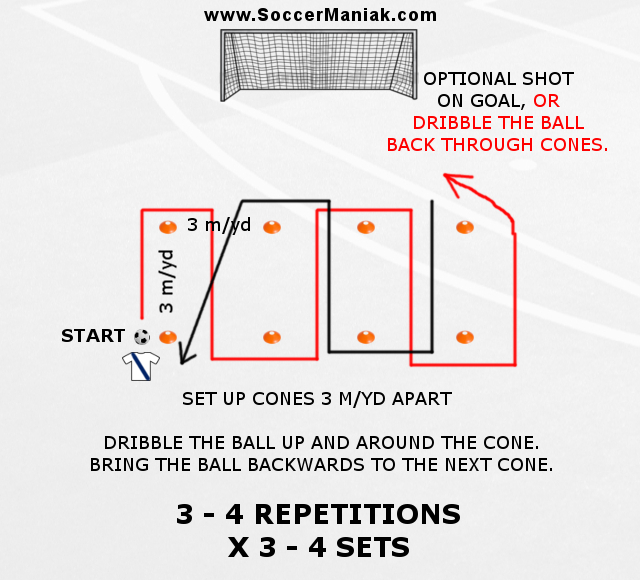 Place all the soccer balls 30 m/yd away from the goal. 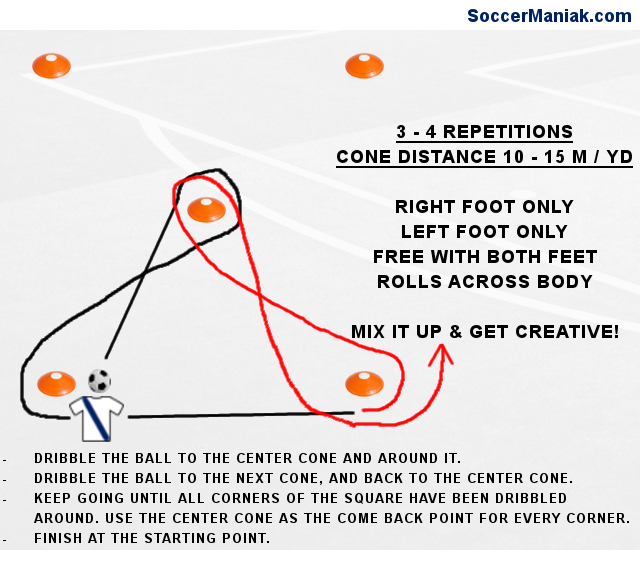 Split up players into two groups, attacking and defending. 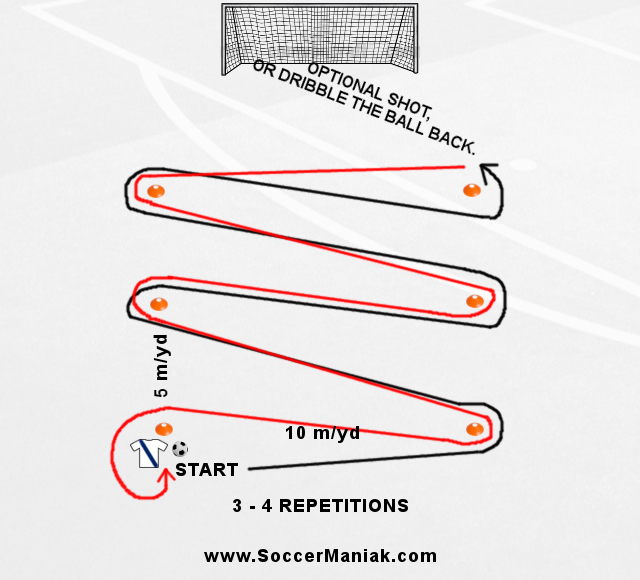 Players will position themselves 10 - 15 m/yd in front of the goal, to the left, and right side of the field. 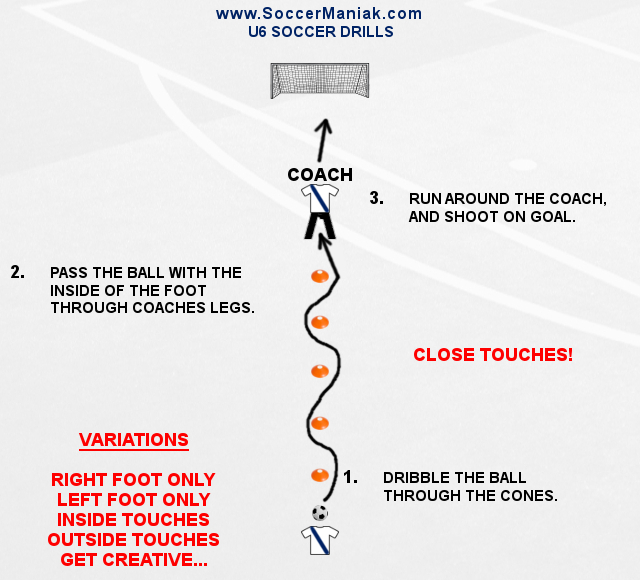 2 attacking and 2 defending players will enter the field of play on the Coaches whistle, or signal. Attacking players will get to the ball first, while the defenders position themselves on the field to stop, and contain the attack. 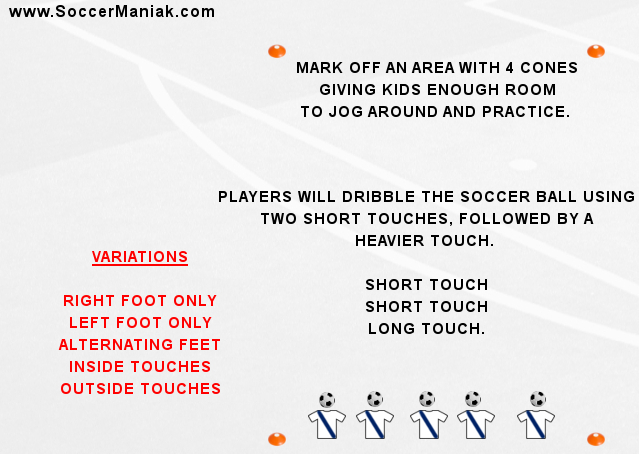 Players will start off playing with unlimited touches, with attempt to score a goal, under the pressure from defenders. 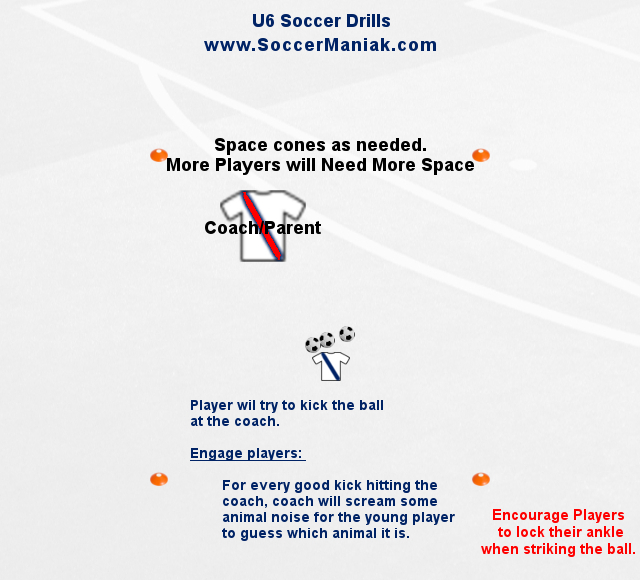 This soccer attacking drill needs to be done with high intensity, and game like pace. 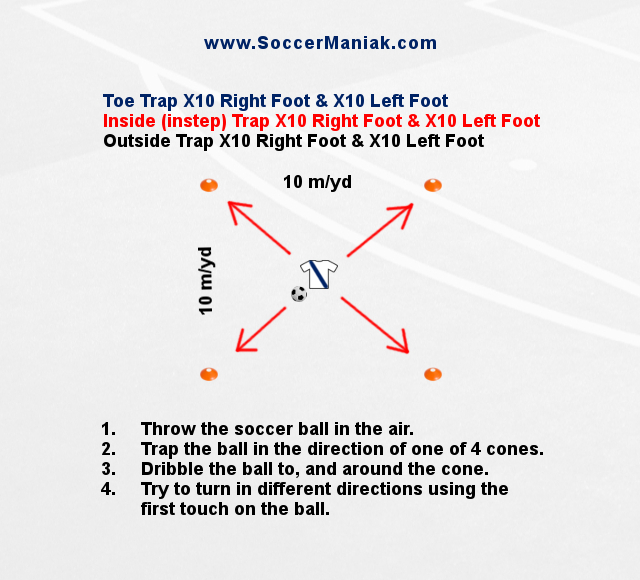 Allow defenders to take the role of attackers when they steal the ball away. 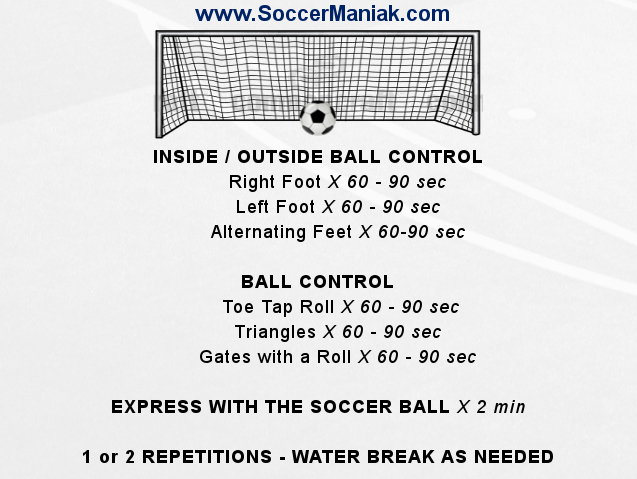 They will have a 20 - 30 second window to score on the attackers. 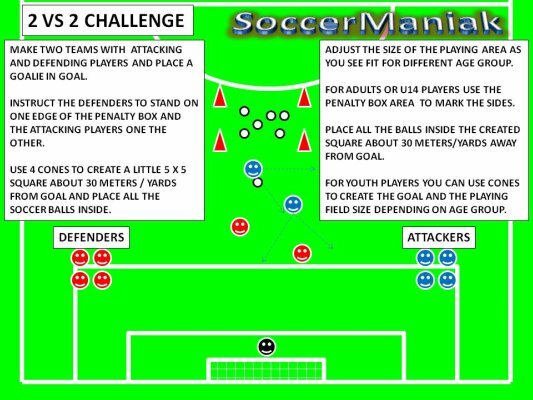 Change the numbers to 2 attackers against 1 defender, or 2 defenders against 1 attacker. 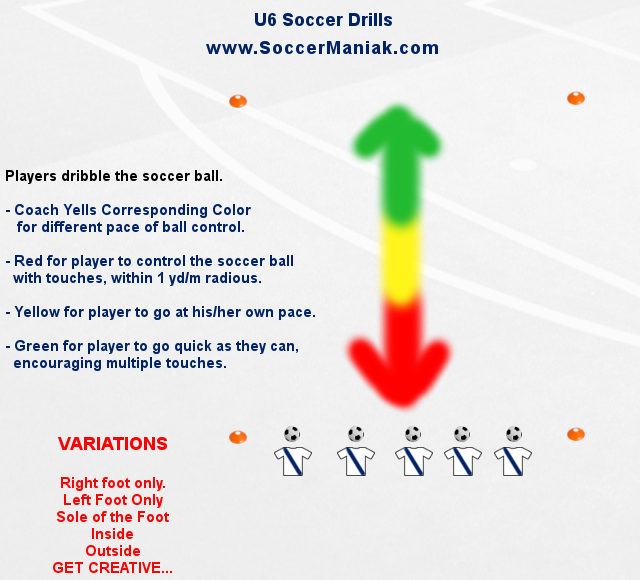 Any change in numbers of attackers vs defenders adds a new dynamic to this soccer drill. 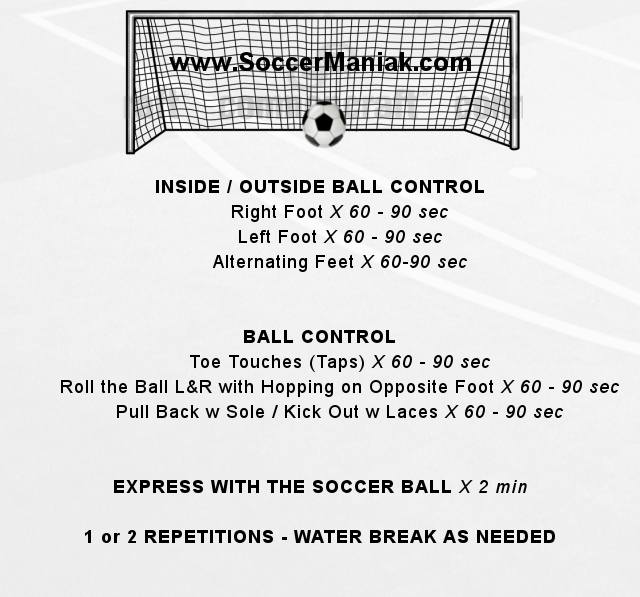 Limit number of touches on the soccer ball to 2 - 3 touches, unless dribbling the defender. 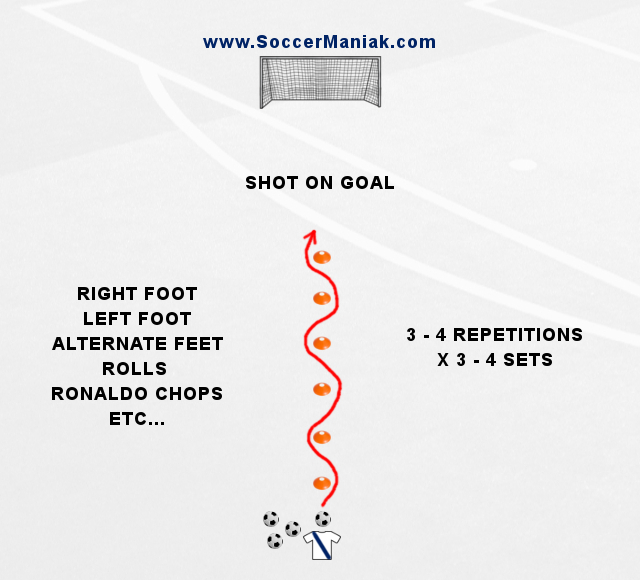 Set a 5 - 10 number of passes completed before taking a shot on goal. 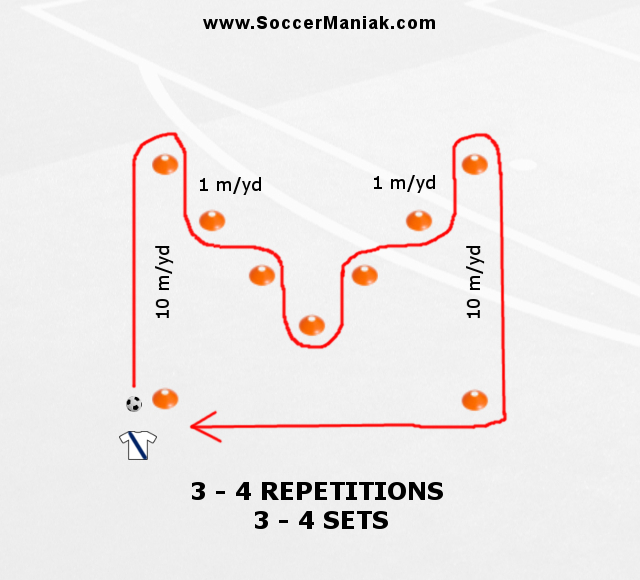 Playing with offside rule, or add more players to make it a 3 vs 3 or 4 vs 4 game. 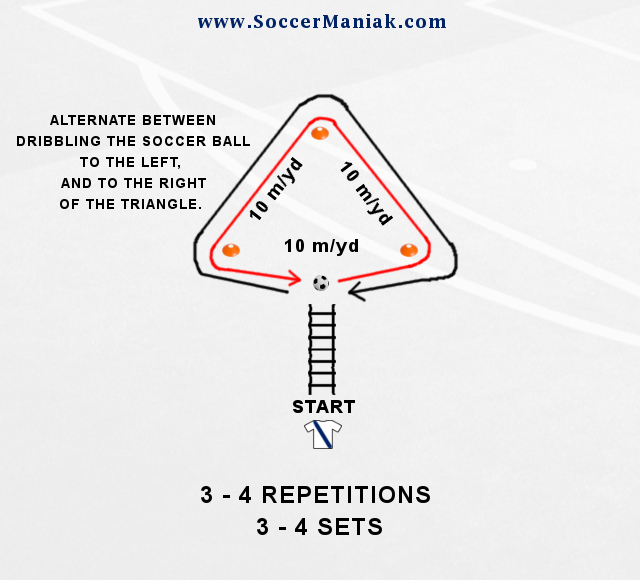 Variations are unlimited. 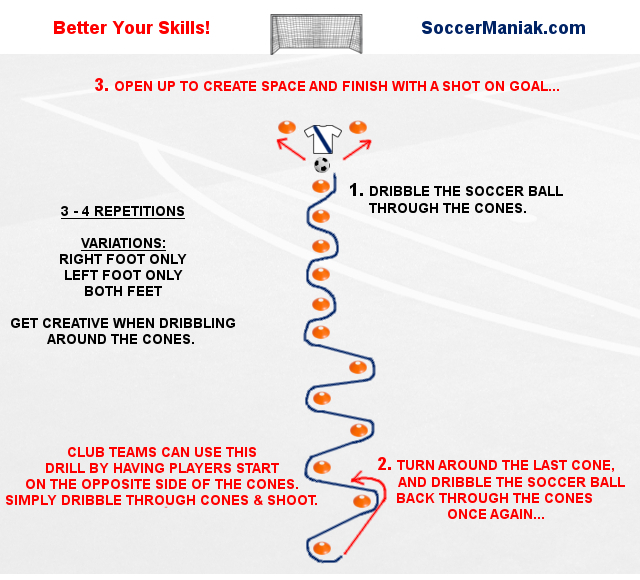 Get creative and have fun.